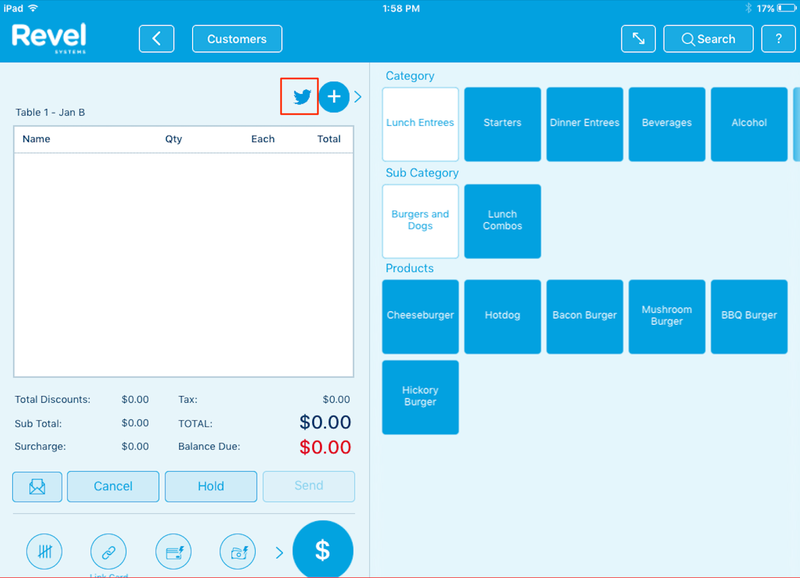 Employees or managers can post tweets and photos directly from the Revel POS application. This can be used to alert Twitter followers of upcoming deals, announcement or more. 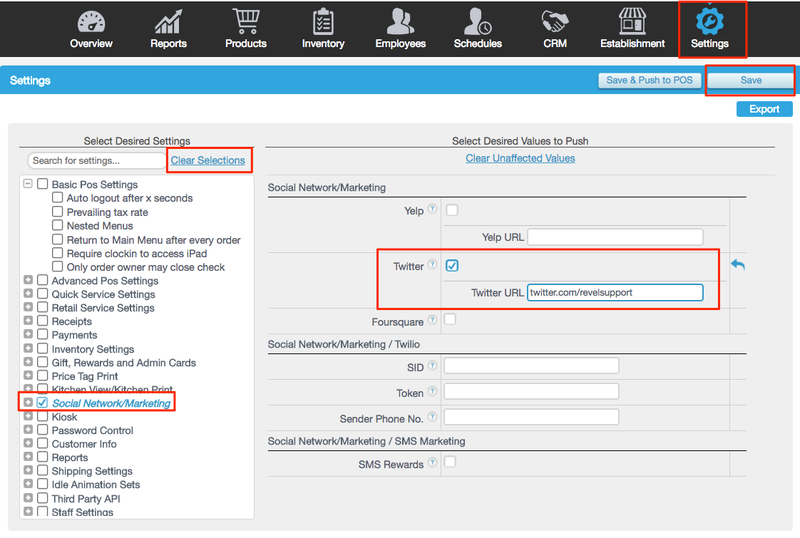 Log into the Revel Management Console. Navigate to the Settings tab and then click Clear Selections from the left side. Select Social Network/Marketing from the left sidebar. Go to the Home page of the iPad. Select Twitter from the left side. Once complete, tap Sign In. If inputted correctly, a prompt to install the application may appear, however skip it. Log into the Revel application on the iPad. To attach a photo to the tweet, tap Pick Image. It may ask for permission to access the iPad photo album; hit allow if it does. Then, select the photo. To write, tap the Twitter button. Any photos attached will be shown here as well. Type in the tweet. Hit Done from the main menu when finished.